In a mixing bowl, whisk together eggs and milk. Season to taste with salt and pepper. In a frying pan, sauté the spinach until wilted. Season to taste with nutmeg, salt, and pepper. Set aside. Melt butter in frying pan, add eggs. Simmer on medium-low heat for approx. 1 min., then sprinkle spinach and feta on top. 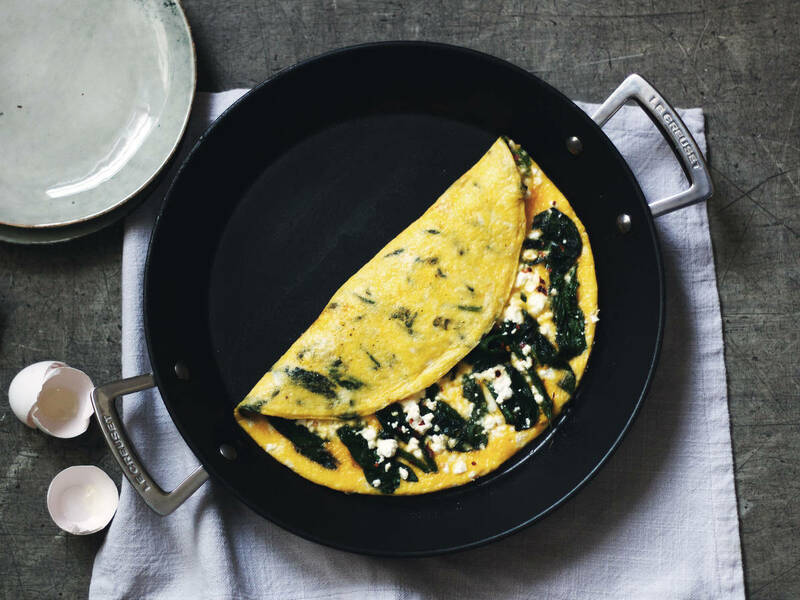 Fold omelette to close, like you would a letter, and continue to cook until heated through.Transfer to plate and enjoy!